Super Bowl XLVIII is coming up this Sunday in New York and this week was media day. Hundreds of television cameras and reporters asked players on both squads questions about the matchup or any question that could come as a surprise. Russell Wilson was asked about his hair and kissing ability, Richard Sherman was asked about his post game comments in the NFC Championship, Marshawn Lynch walked out on media day 2 days in a row, Peyton Manning was asked about age and “Omaha”, and the “where’s waldo” dude! Check out the best clips from the past few days. 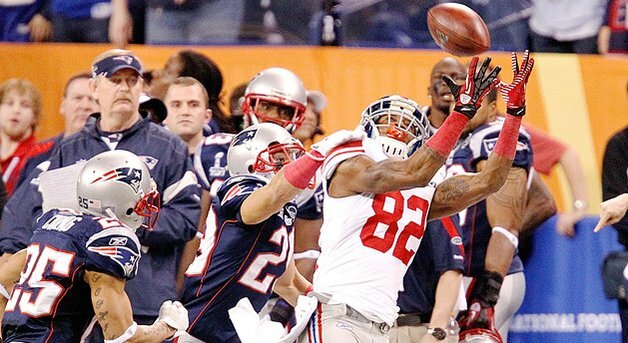 Bill Belichick dared the New York Giants to throw to Mario Manningham and paid the price. 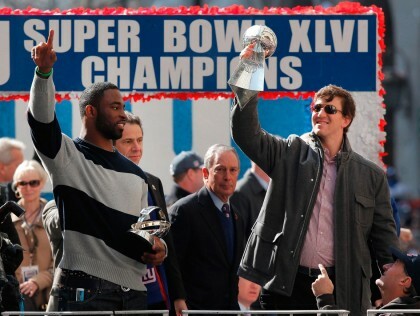 Before the Giants final game-winning drive in Super Bowl XLVI, the New England Patriots coach told his team not to get beat by receivers Victor Cruz and Hakeem Nicks. The Giants started the drive at their own 12-yard line with 3:46 left in the game and trailing 17-15. On the first play, Giants quarterback Eli Manning dropped a perfect pass down the sidelines to Manningham who somehow made the catch and got two feet down for a 38-yard gain. The Patriots challenged whether Manningham was in bounds. They lost, the Giants were in business and went on to score the go-ahead touchdown. The Patriots actually allowed Ahmad Bradshaw to waltz into the end zone with about a minute left so they would get the ball back. 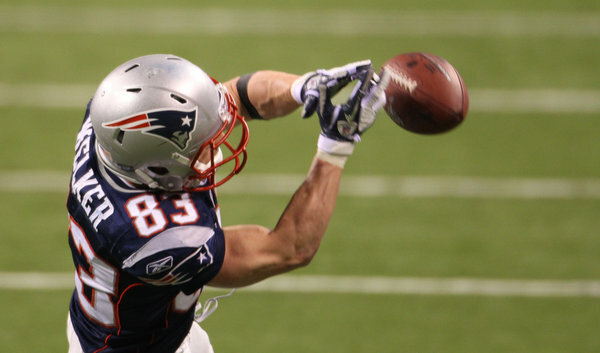 The Patriots had been forced to give up the ball after receiver Wes Welker failed to make a tough catch that would have given the Pats a key first down as they tried to eat up the clock. Among other interesting audio released by the league, Giants players were trying to figure out the health of Patriots tight end Rob Gronkowski. He had suffered a high ankle sprain in the AFC title game and didn’t appear to be at full speed in the Super Bowl. In his years as the Giants’ top special teams player and miracle-making wide receiver, David Tyree had never had trouble expressing himself. But when he saw Lawrence Tynes’ overtime kick split the uprights Sunday in San Francisco, he was left dumb-struck. “I might have been just as speechless as I was when we won the Super Bowl four years ago,” he said in a conference call Tuesday. “To actually see this thing coming to fruition. So many parallels. Miracle catches — Tyree’s ball-to-helmet with Rodney Harrison draped all over him, and Hakeem Nicks‘ Hail Mary grab in front of two Packers defenders. Eli Manning vs. Tom Brady; Giants-Patriots. The Road Warrior theme. “It’s impossible to ignore,” Tyree said. Also impossible to ignore was Nicks’ catch in the conference semifinal that decisively changed the momentum of that huge win over the Packers. Tyree said it had much the same effect as his catch had against the Patriots. There could be more heroics forthcoming on Feb. 5 at Lucas Oil Stadium in Indianapolis. Tyree, now retired at age 32, will be watching, probably in wonderment at how familiar it all looks.